The gods ruined Professor Jason's life. He wants payback. Even if it kills him. 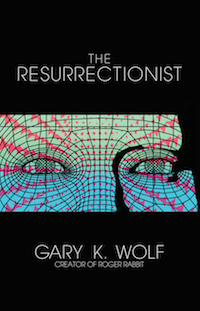 Welcome back to the amazing fantasy world of Roger Rabbit creator Gary K. Wolf. This time it's murder, intrigue, and godly shenanigans. The Greek Gods, who have relocated to a glitzy mountaintop in Southern California, aren't getting the pious veneration they feel they deserve. Big Ben Bolt, formerly called Zeus, has a foolproof way to reclaim his old glory. It all starts when Tilly Hunter comes to ornithology professor Jason with a strange request: She wants him to find her son's father. A talking swan. Jason knows birds. Swans don't talk, nor do they seduce women. This is godly work. Years ago, the gods ruined Jason's life, destroying his family. He wants payback. Jason takes the case. Jason's ready to die to fulfill his quest. The Gods are more than willing to let him. Can Jason bring the Gods to their knees before they bring him to his grave? The Greek Gods, who live on Mt. Olympus in South California, are just as petty and base as ever. They are worshipped currently, but Big Ben Bolt (aka Zeus) has a plan to bring back his true glory days. Enter Jason, an ornithology professor. He's contacted by Tilly Hunter who wants him to find her baby's true father – a talking swan. He knows something is hinky as swans do not talk, nor do they engender half-breed children, but the gods are known to change shape...and one in particular is especially fond of doing so. Could this be his one chance to take down Big Ben once and for all? 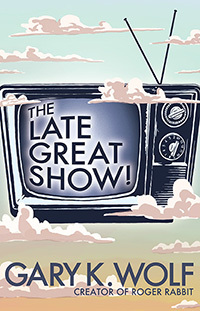 'The Late Great Show!' 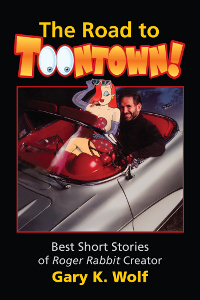 is an absolutely hilarious story featuring the denizens of Mt. Olympus and the humans they despise, yet need all the same. Mr. Wolf takes readers on a wild ride from the heights of Mt. Olympus to the depths of Tartarus. Jason's out to cause an uproar and he certainly has a way of getting the gods' attention. 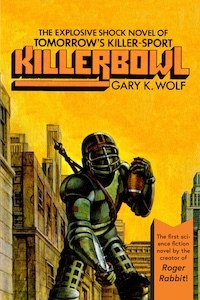 The characters and situations are wonderfully over-the-top and I could see this novel easily turned into a movie. If you want a book to relax with and just enjoy, 'The Late Great Show!' is the story for you!